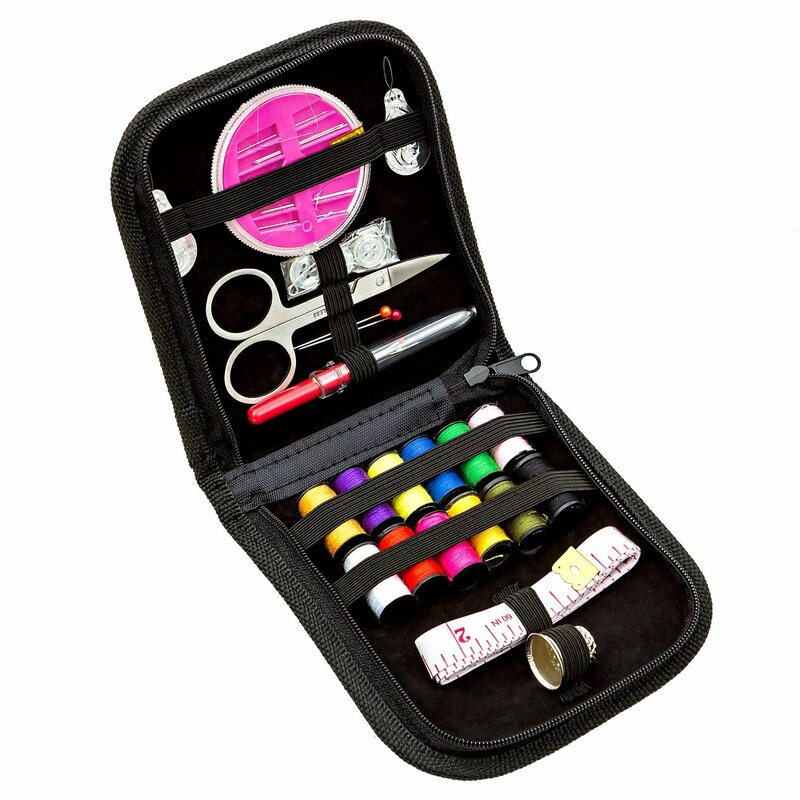 I just got this awesome sewing set from Vellostar. This one comes in a great little travel case. It folds in half and has a zipper so you can keep all items nice and safe inside. It comes with all kinds of sewing tools. It has needles, a needle threader, a package of buttons, scissors, pins, seam ripper, 12 different colors of thread, measuring tape, and thimble. This kit is a life safer when you rip your outfit or lose a button. My daughter is a dancer so we keep this kit in her dance box with everything else in case we have a tear, or missing button. I can pull this out and have her fixed up in no time flat. It’s also nice to just have on hand in you sewing kit. I love it! !